Two bombs have been detonated in the Thai resort town of Hua Hin, killing at least one woman and injuring 10 others, including several foreign tourists. The bombs were hidden inside plant pots and were detonated by mobile phone devices within 30 minutes of one another. Twin bombings are a regular occurrence in Thailand’s three southern provinces – those three are heavily inundated by an insurgency. 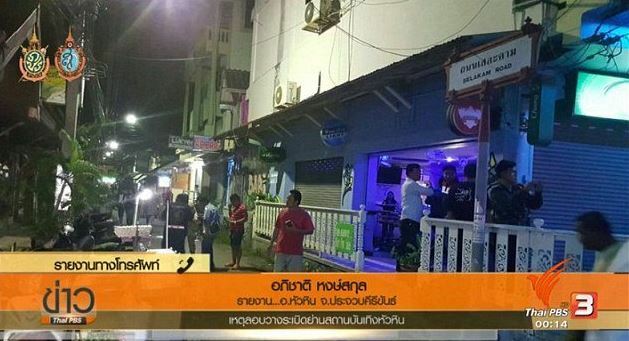 This is a rare occurrence to find such attacks in tourist areas within Thailand. Hua Him is famous as the preferred home of King Bhumibol Adulyadej and is one of Thailand’s coastal resort areas that are popular with foreign and Thai visitors.